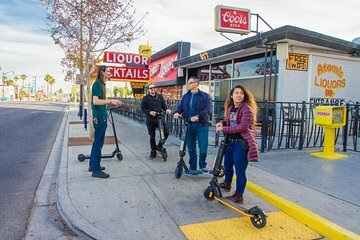 Look beyond the Strip and capture epic shots for your Instagram as you glide through downtown Vegas on a Segway e-scooter in a group no larger than six. Tour the Downtown Container Park, find hidden murals in discreet alleyways, zip through the bohemian Arts District, and visit spots that inspired movies and music. Throughout, your photographer/guide will snap one-of-a-kind images, available for you to purchase if you wish.